The Orbea Avant range is chock full of road models for every need, from basic aluminum commuters to top quality carbon fiber endurance bikes. Though some models have some fatal flaws, others offer amazing performance on the road. 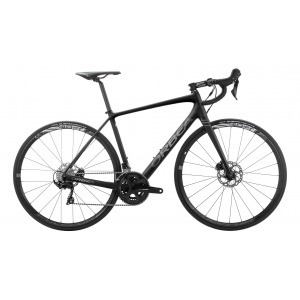 You have a pretty good chance of finding a suitable bike in this wide range. Orbea may have a long history, but it wasn’t originally a bicycle manufacturer. Until it started making cycles in the 1930s, this company specialized in weaponry. Now, it produces all kinds of bikes and support cyclists from all over the world. So we checked out some of the Avant models to see if they held up. At the most basic level you get what you pay for, with Shimano Claris and the usual gear ratio for bikes of this class. Nothing to complain about because this range has pretty much your average commuter bikes with average specs and prices. Go a little further up and you’ll find what we thought were some top notch endurance road bikes. Our favorite test ride with the Orbea Avant M limited edition. With SRAM Red componentry and carbon frames, these bikes are light, smooth, and speedy on the road. We couldn’t get enough. The only issue is that they don’t handle as well on the steeper climbs and gravel roads. The wheels are noticeably weighty, but they are otherwise good to go. Overall a good series of bikes with a lot to choose from in the way of commuters and road race bikes. We had some mixed reviews about the Orbea Avant bikes, but since there is such a wide variety to choose from, it’s not too hard to find something that suits your liking. There are definitely some high quality, race-ready models worth checking out.